Part of getting to know the night sky is becoming familiar with astronomical terms and some of the world’s more well-known astronomers. This is not to say that you must be up to speed on stellar lexicon and ancient history but knowing a bit about where names come from and who discovered what may help you to understand the night sky better. This information could also be helpful in teaching others what you have learned. Fear not, intrepid astronomer, we will also provide information one of the closest pieces of eye candy you can gaze upon in the coming week. Our planetary friends still appear to us in the nighttime and early morning skies with a few exceptions depending on where you are viewing. For our northern hemisphere observers Mars, in the constellation Taurus, and Jupiter, in Virgo, are still visible shortly after sunset while Saturn, west of Sagittarius, and Venus, in Pisces, still appear pre-dawn. The only difference for our southern hemisphere observers is that in the evening Jupiter is the only planet visible as Mars will have already set. The same goes for Venus being the only planet visible prior to sunrise. 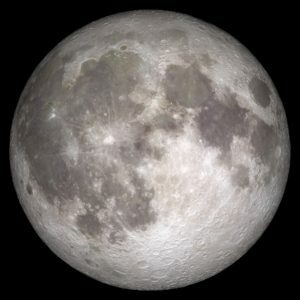 One feature both parts of the world will have a view of this week is our full moon on Wednesday, May 10. This is just two days prior to the moon at apogee, meaning its point farthest away from the earth. At this distance, the moon is a little over 400k kilometers from us. Whereas at perigee, its point closest to the earth, it is a little over 350k kilometers away. When you pair perigee with a full moon or new moon it is referred to as a supermoon. We are close to a supermoon this month as the new moon occurs the day before perigee. The terms perigee and apogee don’t apply to the moon alone. These terms apply to anything at its furthest or nearest point from another body. Often you will hear about planets being at apogee or perigee from earth. This happens far more often for the inner planets than the outer ones due to their proximity to earth and smaller orbits around the sun. The moon in its phases leading up to, during and just post a full moon, can hinder stargazing and observing. A brighter moon means those objects in visual vicinity become increasingly more difficult to see due to the glow we observe that is the moon reflecting sunlight. Just as light pollution can compromise observing, so can our planet’s lunar satellite. However, don’t let this dissuade you from taking in the night sky. The surface of the moon has a lot to offer observationally. From countless craters to mountain range and sea features you could spend an entire year looking at the moon’s surface and never run out of things to see. One caution to those hoping for a closer look, if you use instrumentation to observe the surface during a full moon phase please use a lunar filter. The moon is exceptionally bright to the naked eye when full. Compound that with the magnification a pair of binoculars or a telescope can provide and you might as well set off the flash of a camera in front of your eyes. The moon’s brightness won’t damage your eyes quite like the sun can, but it can make seeing very uncomfortable and compromised temporarily. Observe with caution. When the moon isn’t washing out the night sky you can seek out the darkest skies for observing using a popular tool that rates the sky called the bortle scale2. The bortle scale is a nine level numerical scale scoring the quality of the sky by measuring the brightness. It is a system that was conceived of by John E. Bortle back in 20013 after over 50 years of observing experience. Today we use this scale to grade skies worldwide and particularly over large cities, small towns and in state and national parks. On this scale, locations closest to the number 1 are the darkest whereas places nearing 9 on the scale are the most compromised and light polluted. Before I leave you to become burgeoning lunar observers I wanted to make sure I followed up on my promise to tell you a bit more about French astronomer Charles Messier. We touched on Messier last week when we introduced you to the Great Globular Cluster in the constellation Hercules. He also parallels our highlight of last week’s peak of the Eta Aquariid meteor shower, caused by passing through the dust trail of Halley’s comet. Charles was an astronomer in the mid-1700s and his draw to astronomy was comets. He discovered thirteen in total over his lifetime. During the course of his observations, he created a list of objects that he found in the night sky thinking to be comets and in the end turning out not to be. This list of not-comets is something he has become famous for in modern days. As such we have turned his not-comet list into a tool that astronomers use to observe and learn the night sky. It is aptly named, the Messier List. There are 110 objects in total on this list and they are some of the most spectacular examples of what the night sky has to offer. This list contains galaxies of several types, clusters both globular and open, as well as several types of nebulae. As you visit us each week to learn about the night sky you may see us referencing objects with an “M” designation. This refers to the list Messier created and highlights an element of the night sky worth taking a look at. The object won’t be a comet but hopefully, you will find it just as spectacular. Stop on by next week when we will talk more about asterisms and the stars that make them up as well as the difference between the various types of stars.